We had a sick child over the weekend, nothing major but enough to make us miss our weekend away. A real shame but at least we made the most of it and tried to be fairly productive. My favourite slice currently - Caramel Oat Slice (based on a Jo Segar recipe). It's supposed to be made as a cake but it's just so rich that i prefer to make it as a slice and cut into smallish pieces. I also usually use white chocolate drizzled over the top but I'm all out of that until shopping day so dark chocolate was even better I think. Mmmmmm divine! The girls were going it stir crazy stuck at home so I made them some playdough, but this time with a twist. 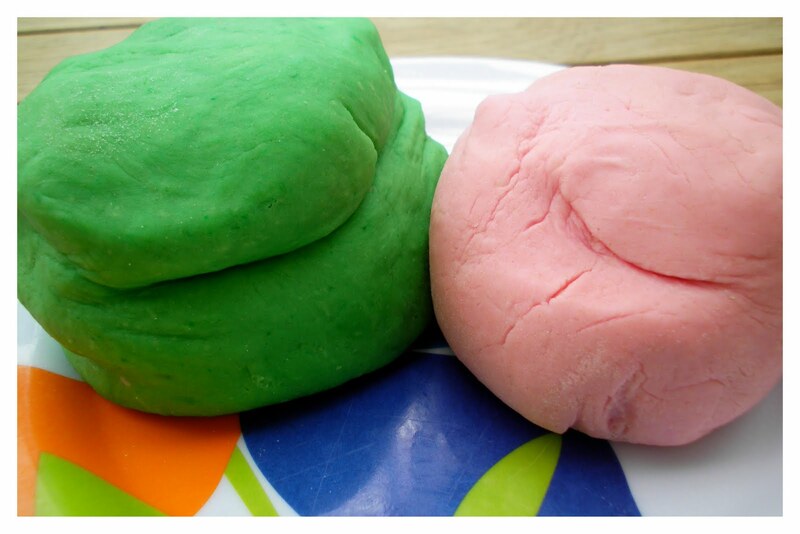 Strawberry flavoured pink playdough and Peppermint flavoured green playdough. I use the cooked version of playdough and it always turns out perfectly. I've also been busy with some nice natural remedies. A cute little airfresher (baking soda and essential oil) in a stylised jar (found on pinterest - gosh I love that site!!!) 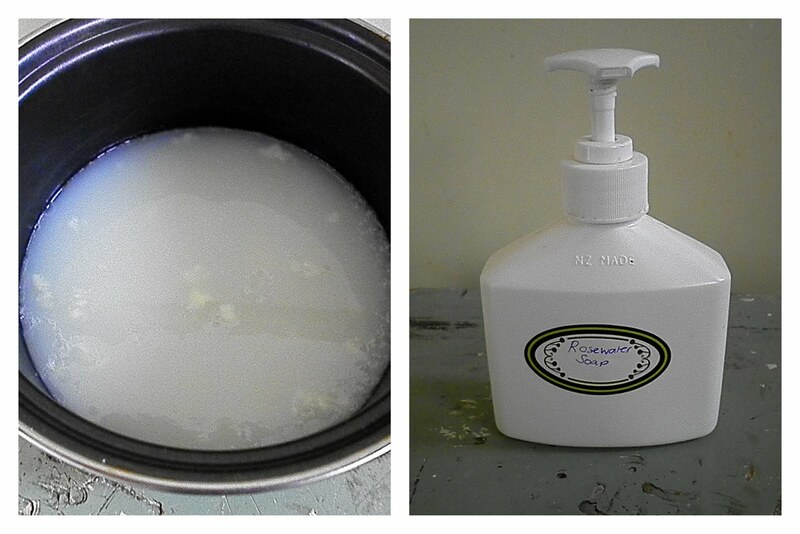 and more liquid handwash - this time in Rosewater fragrance. Yay for cool air freshner and other crafty goodness!! Wow that caramel cake/slice looks amazing! I think I put on weight just looking at it. I love that you still had a lovely weekend and got up to some pretty fun stuff. Hope the small is all better now. Drooling over that slice!!! Loving playdough - just made some here too. Love the air freshener idea - isn't Pinterest AMAZING!